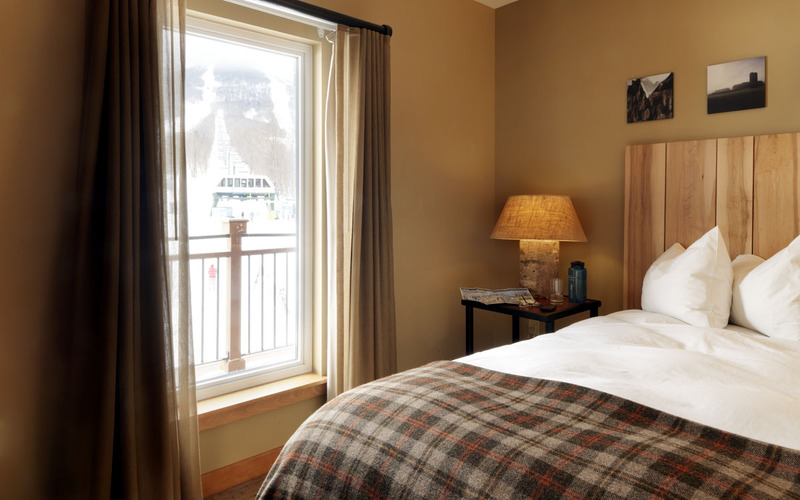 The Tram Haus Lodge was the first new building in the resort’s major expansion project, setting the tone and direction for the next chapter of growth for the resort. 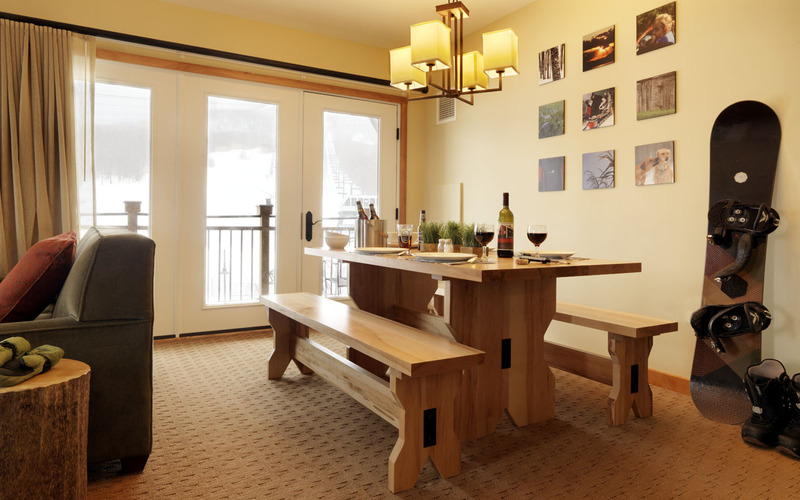 TruexCullins designed the interior spaces to play off the significance and history of the adjacent aerial tramway, first installed in 1966 and the only one of its type in Vermont. 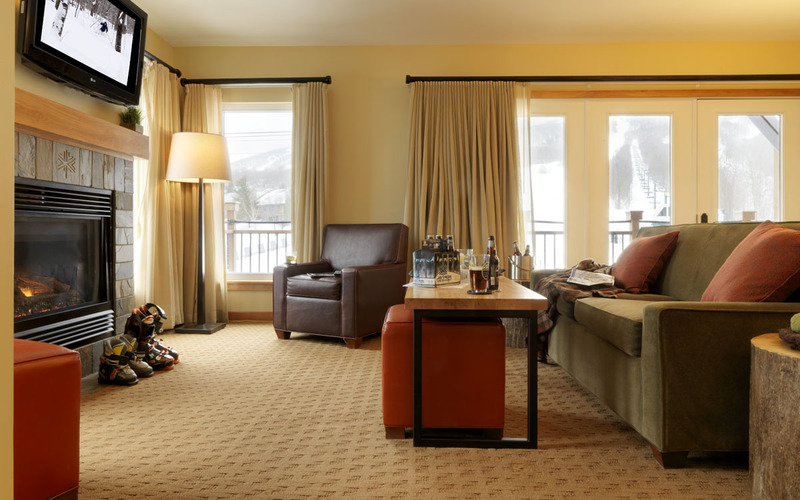 In keeping with Jay Peak’s rugged nature and proudly offbeat attitude, touches of local flavor and whimsy were added throughout, including locally sourced wood furniture, linens, and accessories. 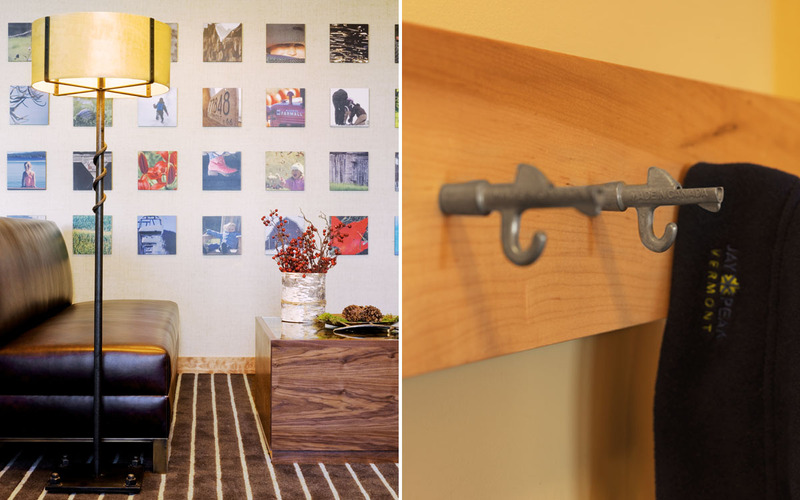 Recycled tram cable was used in creative ways throughout the guestrooms and public spaces. 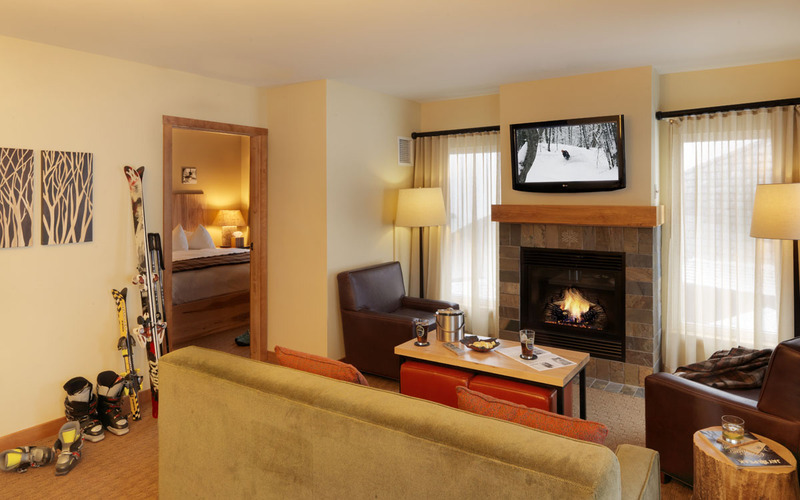 The lobby features handcrafted light fixtures, furniture and artwork that evokes the backcountry spirit of the Northeast Kingdom.